With the blue of the sky and the sea, a magnificent back-country, extraordinary villages, marvelous smells... all this with the bright sunlight and the chirping of cicadas. The list is far from complete, as it is hard to count all the assets of this department. But, of course, dreams come at a cost and property in Alpes-Maritimes is among the most expensive in France. One can find, however, many apartments for sale, at good prices, in Mougins, Vallauris, or Antibes, for example. If it is land you are looking for, you need to look in the back-country. But if you can afford it, you can always opt for Cannes, famous internationally for its cinema festival! 420 kilometres of magnificent coastline dominated by densely forested ranges of hills, offer the inhabitants of Var the pleasure of water sports and the joys of hiking. All of this in a Mediterranean climate in the midst of cork oaks, pine and mimosas... If property in Var is expensive on the coast, it is very affordable in the inland regions, where there are many charming little towns and peaceful villages like Flayosc, Salernes, or Régusse. As to the sea-side, one can find many apartments for sale, for all budgets, in Frèjus or Saint-Raphaël, for example. Sea views or not, what would you say to a small glass of very cold Bandol at the end of the day? Crossroads of Provence, Vaucluse is the orchard of France. You only have to look at the stalls of fruit sold at the road-side or go for a stroll in the fantastic market of Velleron. Mont-Ventoux, Dentelles de Miramail and the Luberon Nature Park ensure that there are outstanding landscapes in this department. Property in Vaucluse is very varied. One can find all kinds of property, at all kinds of price: apartments, land, villas, village houses... Up to you to choose: Orange, Carpentras, or Isle-sur-la-Sorgue? Why not a canal boat moored on the banks of the Rhône, in Avignon? What a great way for theater lovers to be in the first row for the Festival. Bouches-du-Rhône immediately brings to mind the town of Marseille with its old port, the bouillabaisse, and of course Pastis, that aniseed tasting liquor we all know so well. To the north is the magnificent town of Aix, while to the south spreads the Camargue with its never ending landscapes and the calanques, like Cassis, or La Ciotat. So there is a lot to do and see in this dynamic department with its very good road and rail networks. Property in Bouches-du-Rhône is not so cheap, but one can find houses for sale at all prices. An apartment in Aix-en-Provence, or a house at the foot of Les Alpilles? Unless you would prefer a property in Arles, ancient Roman town, at the gateway to the Camargue. Crossing the Alpes-de-Haute-Provence, from north to south, is a unique experience. One leaves the alpine resorts and having crossed a steep valleyed region, so well described by Jean Giono, one arrives in Sisteron. 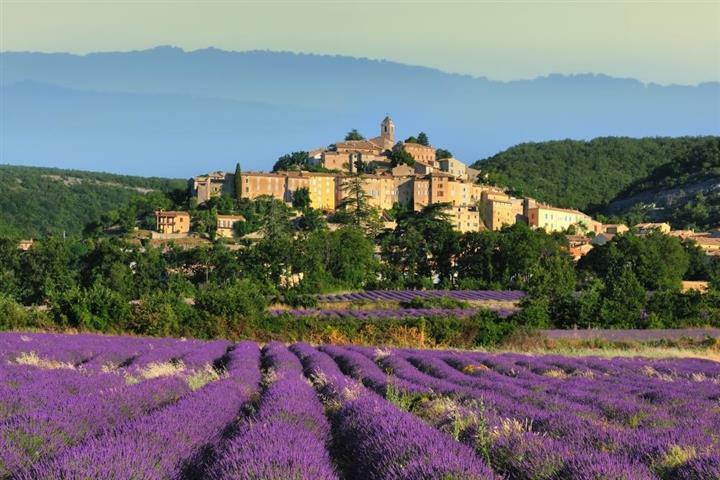 Here, it already smells of Provence... with magnificent landscapes, scattered with villages rising above the lavender fields. 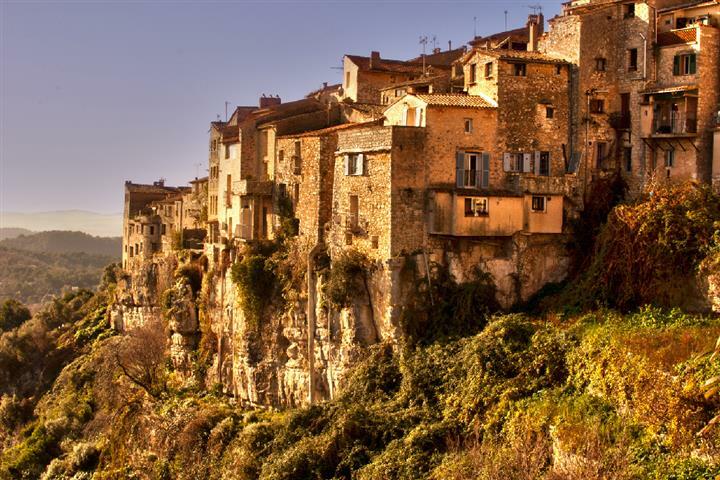 Of course, as is always the case in sunny areas, property in Alpes-de-Haute-Provence can be fairly expensive. But depending on what you want, and you wallet, you can choose to buy a village house in stone in Forcalquier, a chalet around Barcelonnette, or some building land with views in Vachères. And if you would like to observe the stars and the milky way, this is the ideal spot! Dominated by its mountains which peak at over 4,000 metres, the department of Hautes-Alpes is a paradise for skiers, hikers and para-gliders. Enthusiasts of the flora and fauna of the region will love the nature parks of Ecrins and Queyras. Property in Hautes-Alpes is affordable, even if it is more expensive near the ski slopes. You can choose a property for sale in Briançon, a very pleasant fortified town at 1,300 metres of altitude, or an apartment in one of the many family ski resorts. But if you are looking for the atmosphere of Provence, Gap is the place to go.